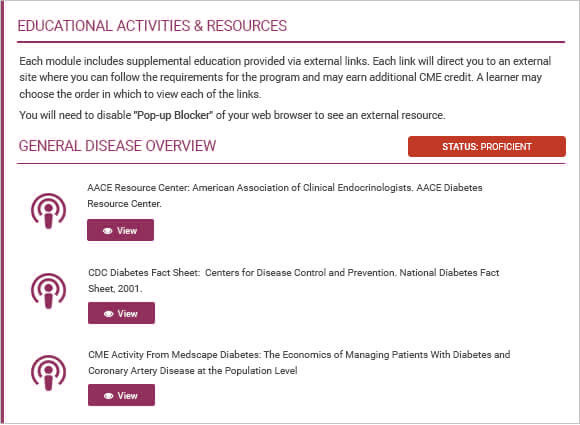 This initiative is designed to help clinicians and other healthcare professionals implement comprehensive treatment strategies to decrease microvascular and macrovascular risks in patients with type 2 diabetes (T2DM). This activity is supported by an independent educational grant from Boehringer Ingelheim Pharmaceuticals, Inc., which was made possible, in part, through collaboration with Eli Lilly and Company. This activity is supported by an educational grant from Bristol-Myers Squibb/AstraZeneca LP. This activity is supported by an educational grant from Lilly USA, LLC. For further information concerning Lilly grant funding visit www.lillygrantoffice.com.